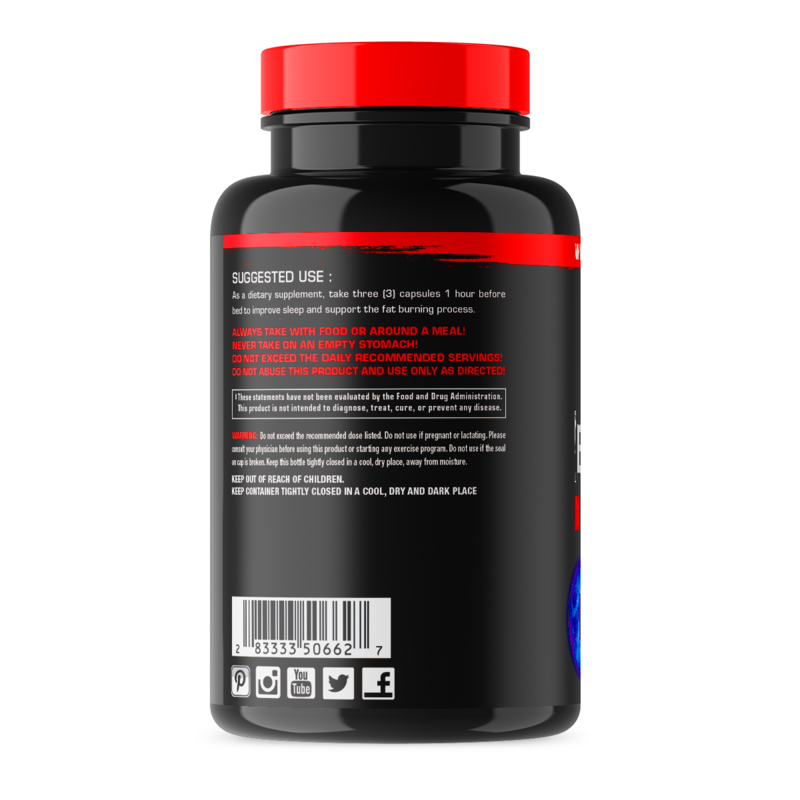 OUR XTREME NIGHT-TIME FAT BURNER! 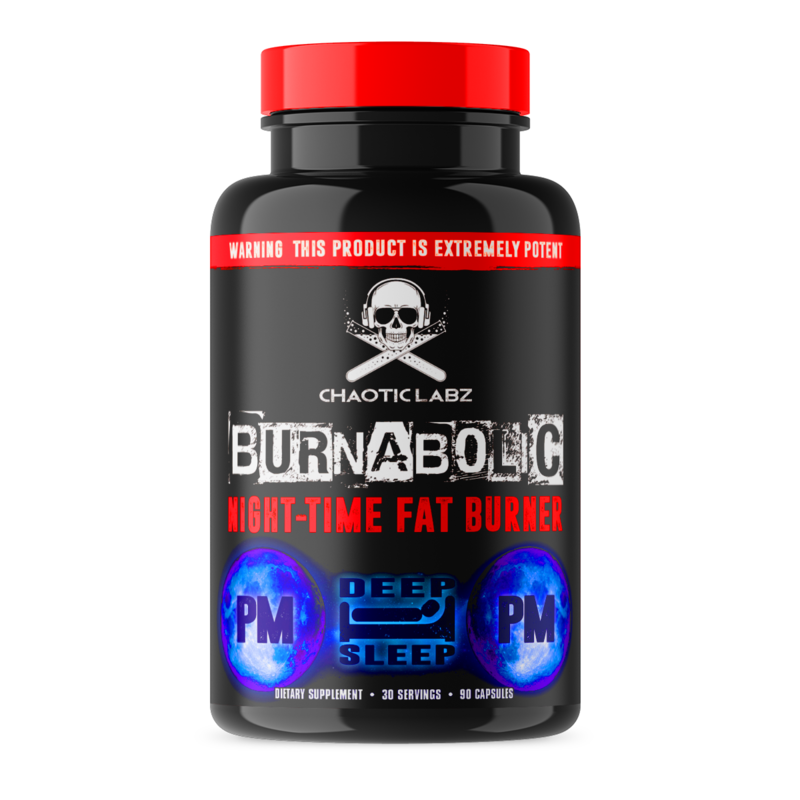 As a dietary supplement, take three (3) capsules 1 hour before bed to improve sleep and support the fat burning process. ALWAYS TAKE WITH FOOD OR AROUND A MEAL! NEVER TAKE ON AN EMPTY STOMACH! DO NOT EXCEED THE DAILY RECOMMENDED SERVINGS! DO NOT ABUSE THIS PRODUCT AND USE ONLY AS DIRECTED! DO NOT USE If PREGNANT OR NURSING. This product is only intended to be consumed by healthy adults 18 years of age or older. Before using this product, consult with your physician if you are using any prescription or over the counter medication or if you have any pre-existing medical condition including but not limited to: high or low blood pressure, cardiac arrhythmia, stroke, heart, liver, kidney or thyroid disease, seizure disorder, psychiatric disease, diabetes, difficulty urinating due to prostate enlargement or if you are taking a MAOI (Monoamine Oxidase Inhibitor) or any other medication. Discontinue use and consult your health care professional if you experience any adverse reaction to this product. Do not exceed recommended serving. Do not use if safety seal is broken or missing. DO NOT OPERATE HEAVY MACHINERY WHEN USING HYPNOTIC!! MAY CAUSE DROWSINESS. Consuming more than recommended amounts may cause dizziness, nausea, extreme euphoria and temporary loss of balance. Keep container tightly closed in a cool, dry and dark place. KEEP OUT OF REACH OF CHILDREN.